Just to jump on the food bandwagon, we have decided to show agents how to spruce up open houses with a little extra work. Sure, you can get a sandwich platter and a couple of fruit bowls, but this can be expensive for new agents. Even worse, there is no personality in it. You know what screams, “I care about my job. Let me sell you this home!”? Handmade foods. 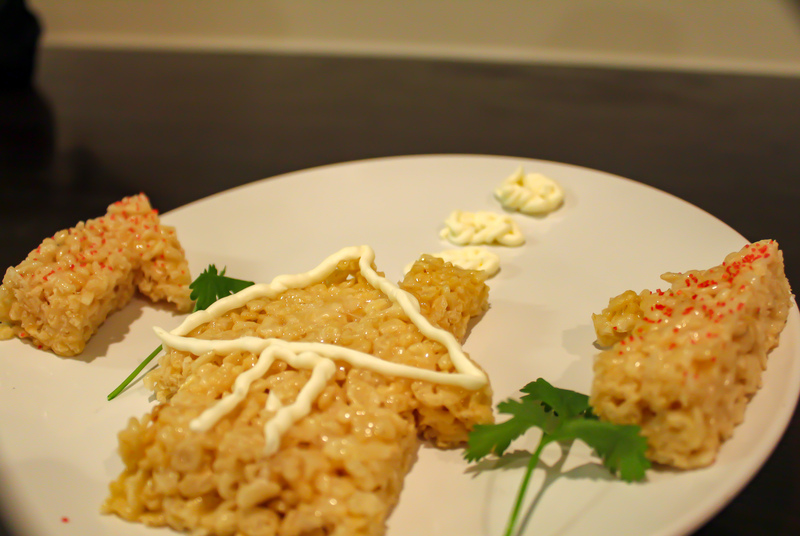 This week, we tried our hands at Rice Krispie bars, but they need a home vibe surrounding them. Why not cut them out to the shapes of little houses? Below, find the super easy recipe to recreate these bars. And while you’re at it, give it your own little twist! Melt the butter by any means. Use a saucepan for continued heat on the stove, but a microwave will do the trick. Add the marshmallows a little at a time, stirring them into the melted butter. Continue to heat little by little until you get a smooth consistency. In a large mixing bowl, add the cereal and drizzle in the melted mixture. Continue to mix all together while pouring in more mixture. You don’t want too much marshmallow in one place. You want it to be pretty even throughout the cereal. Transfer the ingredients into a large enough pan, hopefully a 9 x 11 in pan for this much. This all depends on how thick you want the bars to be. Let it all cool down and carefully remove the large bar from the pan. Cut into whatever shapes you wish! Add a little pizzaz and give it your unique look!